Kevin Hanson, longtime UBC men’s basketball head coach, has taken on the job of coaching the under-17 boys provincial team this summer here in BC — a move that could help bridge the seeming gap between club basketball and Basketball BC. “They brought me in because they wanted a university coach to try and bridge the gap and make sure that the best players were playing for Basketball BC when they go to the national championships,” Hanson said. According to Hanson, while Basketball BC is almost like a club itself, other clubs helmed by growing businesses popped up and gave basketball players the opportunity to play in competitions down in the States. This provided more year-round opportunities for the players, which eventually led to many choosing to play club ball over representing their province. In the past, many Basketball BC tournaments were held at the same time other clubs were playing down in the States as well. With this, the players were being spread out and many weren’t inspired to play for Basketball BC. For Hanson, he welcomes the opportunity to coach the U-17 team. “When I first started coaching at Langara College, I got involved with Basketball BC and coached what was then the U-19 program and I really enjoyed it.” The team went on to win gold at the 1997 Canada Games under coach Hanson. That said, Hanson doesn’t hide the fact that this could seem to benefit UBC in certain respects. For the U-17 provincial boys team, they are getting a great deal of experience and knowledge with coach Hanson taking the helm — a notion made self-evident by his numerous accomplishments, the most recent of which was being named the assistant coach of the Commonwealth Games' men's team that will be competing in Australia in April. The University of Manitoba Bisons' head coach Kirby Schepp will be taking on the role of head coach, and Dave Deaveiro of McGill joins Hanson in the assistant role. Here on campus, his UBC men’s basketball team just ended their season after a semifinal loss to the Calgary Dinos. 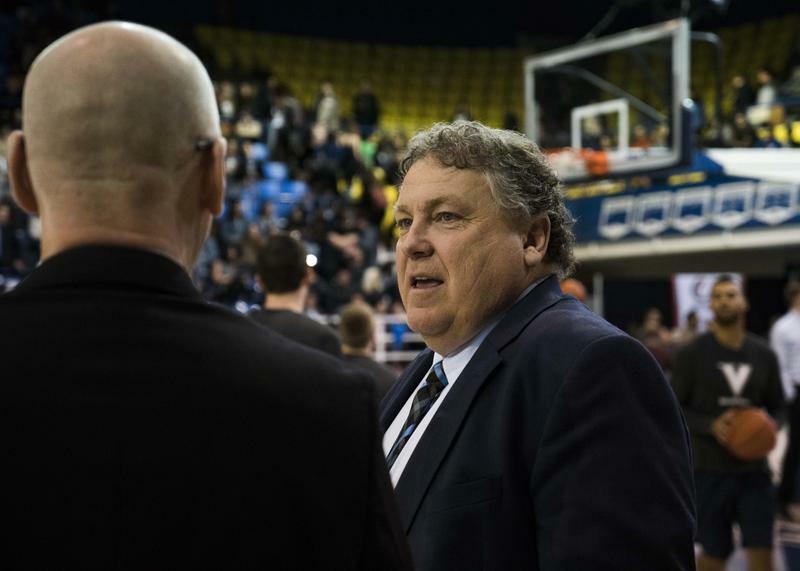 But even with the new workload, both with the U-17 and Commonwealth Games' teams, Hanson still has a focus on his UBC team and is excited for what's to come with the Thunderbirds program. “I’m really looking forward to seeing this team grow and obviously, we’re going to be losing three key players as they graduate but we’re just waiting for the next crop to step up and so, we’re going to continue to recruit."